The Best Retirement Plan or Not? Millions of Americans have financial planners, retirement planners, and investment advisors who tell them what to do with their assets. People follow the professionals’ advice because they believe they are retirement experts who are putting their interests first. What if those core assumptions are wrong? What if the professional is really a sales representative who claims to be a retirement planner to reduce sales resistance? What if the plan is designed to recommend investment and insurance products that pay big commissions? And, how can you identify these deceptive sales tactics and avoid them? A retirement planner or financial advisor presents his 60-page retirement plan to you. It contains an extraordinary amount of information, recommendations, and data. You are impressed with the sheer size and scope of the plan. What you don’t know is the advisor input a small amount of data into a computer program that spewed out the 60-page report. You believe the planner spent hours developing your custom retirement plan because he said so. The actual net time to input the variables was 15 minutes. These types of plans are worse than worthless. They are dangerous because they are based on broad assumptions that help the planner sell insurance and investment products. This is a great sales tactic for the planner and very bad for you. That’s because you do not question recommendations that are included in your custom plan. No one can predict the future. So all retirement plans are based on assumptions that have a major impact on your plans for a comfortable, secure retirement. When will you retire? How long will you and your spouse live after your retire? What is the performance of the stock market? What is the rate of inflation? Will interest rates rise or fall? All of these assumptions impact the amount of money you will have for retirement. The killer affect occurs when less ethical retirement planners and financial advisors “tweak” assumptions to create a rosy picture for you and your spouse. Why create a rosy picture? Planners know you will want the rosy outcome so you will buy their plan recommendations to obtain it. The most devastating impact of fake retirement plans is you believe them. Your belief lulls you into a false sense of security. You no longer have to worry about your future. You don’t have to save as much. You will retire at age 62 and live happily ever after. And, you will not run out of money during you and your spouse’s lifetimes. Here’s the best way to protect your interests. Select a real retirement planning expert who can provide Monte Carlo simulations for all of the assumptions in your retirement plan. The simulations tell you the probability of the assumptions occurring. Make sure the retirement planner is a financial fiduciary. This registration holds professionals to the highest ethical standards in the financial service industry. 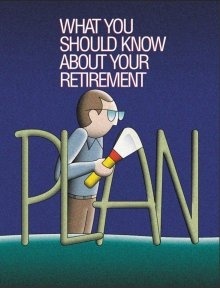 The retirement planner should be able to prove he is a planning and investment expert. The retirement planner should be compensated with fees and not commissions. You pay the planner an hourly or fixed fee to develop your plan for you. The planner is not compensated based on the plan’s recommendations.